Eddi Reader headlines the Friday night of Purbeck Folk Festival on bank holiday weekend, August 22. More than 25 years since she topped with charts with Perfect, Fairground Attraction’s relentlessly jaunty debut single, Eddi Reader has just released her tenth solo album. Vagabond is as fine a collection of songs as any she has shared with us, from the restrained passion of the opening cover of I’ll Never Be the Same, in which she pays homage to Billie Holiday, to the Gallic flavour of the self-penned Midnight In Paris 1979 and the gentle ache of Boo Hewerdine’s closing track, It’s a Beautiful Night, it’s an album of great depth and feeling. That it was created against the backdrop of Eddi’s partner in life, love and music John Douglas being diagnosed with an incurable illness, seems to make its over-riding sense of optimism all the more remarkable. Thankfully, John is now well on the road to recovery and Eddi is looking forward to touring this year and making her first visit to Purbeck. She started her career singing backing vocals for the likes of Gang of Four, Billy MacKenzie, Eurythmics and The Waterboys, before fronting the short-lived but spectacularly successful Fairground Attraction. As a solo artist Eddi has released a string of hit albums including her eponymous BRIT award-winner from 1994, Candyfloss and Medicine (1996), Simple Soul (2001), Peacetime (2007) and Love Is the Way (2009). In 2003 she released The Songs of Robert Burns with the Royal Scottish National Orchestra, a project that lead to her being awarded the MBE in 2006 and updated with the release of a Special Edition album in 2009. She has produced Vagabond herself withmany of her long-term musical collaborators including her husband John Douglas (Trashcan Sinatras), Alan Kelly, Ian Carr, Ewen Vernal, Roy Dodds (Fairground Attraction), John McCusker and Boo Hewerdine, who’s also appearing at Purbeck Folk Festival, which runs from August 21 to 25 at Wilkswood Farm, Langton Matravers, near Swanage. Also appearing are Lloyd Cole, The South, Chris Wood and Emily Barker & the Red Clay Halo. Eddi, congratulations on Vagabond, you had to overcome a few hurdles to get it made, is it the record you set out to make or did it evolve over time? I instinctively move forward. Urges to record dictated the practicalities of it all, then working became the focus of my daily routines. Letting go of the world around me and recording is tough to do as a mum, house keeper etc, but once I’m doing it there’s no-one more surprised than me at what turns up musically. It’s a joy to see what gets pulled out of the moment. It seems to have been very well received, is there a kind of relief that people ‘get’ the record? I’m pleased with its different parts… I can go no further. If others ignore, or adore, I can tell you I am grateful for any attention. I am confident that songs well expressed have their own path and I can’t take sole credit for how they turned out. On behalf of all the musicians and the engineer Mark Freeguard I can only stand beside them and say: ‘I agree! It’s bloody brilliant!! !’ But I am the worst critic. I would still be messing about with it if the organisers of my tours hadn’t pushed deadlines on me. Letting it go out into the world is the hardest bit. The album features many familiar collaborators – almost your repertory company – are you a benevolent dictator when it comes to writing and recording, or is it a more democratic process? I never have any fights, except when attitudes and egos are pushing into the calmness of the empty space… I’m quite manipulative to get what I want. I’ll provide the organic vegan food/booze/cigarettes/paracetamol for all the various characters just to have the energy in the room relaxed. I’ll sometimes have to shut myself away in a vocal booth so as to make sure my own ego shuts down. I am not very good at remembering to say ‘Good morning’ before I start… I’m super single-minded about getting the music ‘fix’ over and above human social activity. But I can apologise. Getting better all the time. Thank you. When you were starting out did you have a plan? Did you think you would still be making music 35-odd years later? Nope! I just threw myself at the wind and went where it took me. I’m sure there are elements of a career in music that become routine over time (the cycle of writing, recording, touring perhaps), how do you keep it fresh? Well, this new batch of recordings I’ve only just realised was the first release in four years…! I’m not sure where all that time went. I’m also quite happy with my ability to see only this moment, I have many stories and memories but once I’ve moved on, life is a fresh page every day. I can be at home two days and have forgotten that I’ve just been on tour for three weeks. Then I start itching for the door. Or start to reason with a rude person on Twitter or something. Just to change their perspective. Managing to not mess up my kids too much. They are two very lovely young men now. We’re really looking forward to seeing you at the Purbeck Festival this summer do you know this part of the world at all? I’m just going to Google all about it and make it an adventure… I expect never to forget it once I’ve experienced it! How are festival crowds different to theatre audiences and do you have a preference? Theatres are cosy and it’s great to sing in rooms made for oratory, but festivals are exciting in that people who never experienced my thing and are walking past at the back, wandering around, might decide to stand and check it out, so potential for encouraging new audiences is great. Also the whole place is infused with a kind of: ‘I’m on my weekend kick-back, break’, so people are relaxed and at ease. Great to join in with that atmosphere. 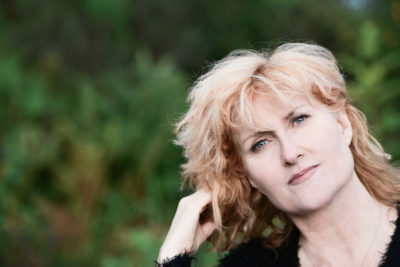 What’s next for Eddi Reader? Today? I continue my de-cluttering at home, watch my catch up rubbish telly, cook meals for my men – they never come home to eat ’til the middle of the night. Beyond that, my touring starts up again in April taking me through the spring and summer to Japan and Australia in the autumn. I have 10 or so tracks from the Vagabond sessions left over. I’m gonna start investing some time in them. They might become the start of a new album I’m not sure. I’m excited about reading my young seven-year-old niece my favourite childhood book, Mary Poppins by PL Travers – “she’s another woman who uses the wind to push her around”!